Dominic and Suellen Balestra will conserve 107 acres of fields and forest located on Stevens and Hardy Hill Roads in Lebanon by donating a conservation easement to UVLT. The Balestraâ€™s land is located in an area where there has been considerable residential development in the past 20 years (over 30 new homes). 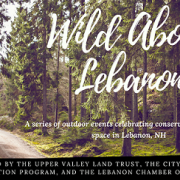 The City has identified the property as a priority for conservation because it contributes significantly to the rural character in this part of Lebanon. The property includes almost Â½ mile of frontage on a scenic road and provides expansive views to Lebanonâ€™s Signal Hill and beyond to Ascutney Mountain in Vermont. Why?Â Witness the signing of a conservation agreement permanently protecting the Balestraâ€™s farm on Stevens and Hardy Hill Roads. Join in thanking the Balestras for this generous gift to the community. Share in refreshments and a walk on the land. 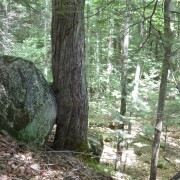 223-acre Rix Ledges Parcel Conserved!